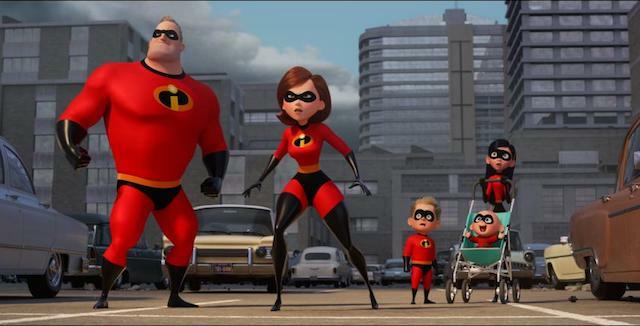 The family film INCREDIBLES 2 (rated PG) is now in theaters everywhere! 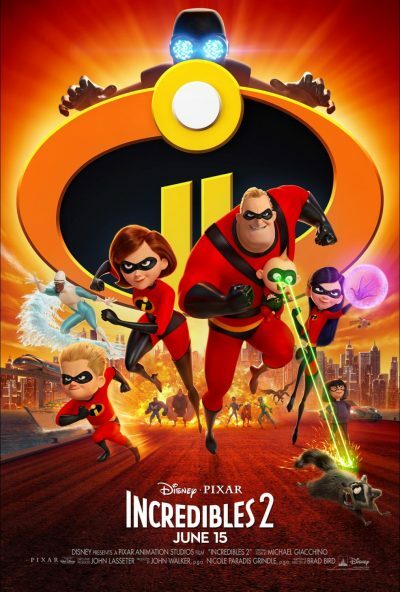 For lots more in-depth information about the movie, be sure to visit us over at ThriftyJinxy.com where we have an Incredibles 2 Spoiler Free Review and interviews with the cast. We absolutely LOVE this movie and just can’t get enough of it. 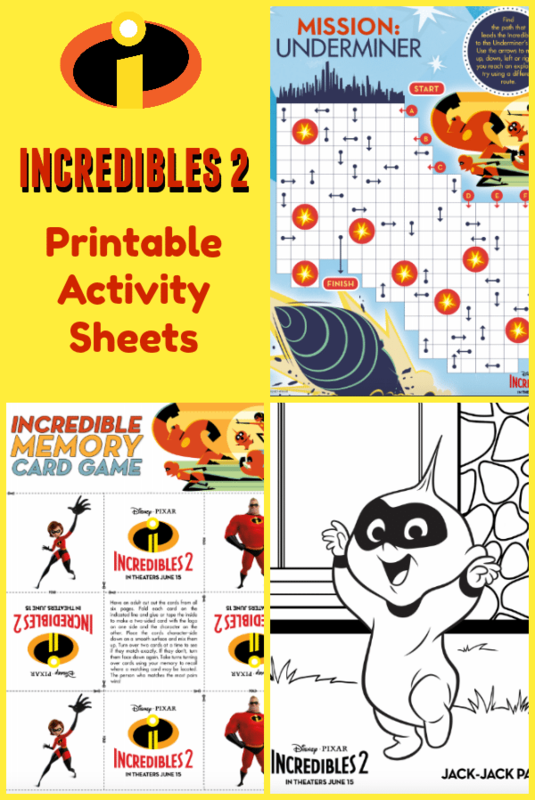 For lots of Incredibles 2 fun at home, we have this great group of Incredibles 2 Printable Activity Sheets. They are a fun way to recreate the thrill of the movie and relive the action and excitement at home. Cook up a few Incredibles-inspired recipes and then dive in while playing a fun memory game or coloring pages with your favorite Incredibles characters. INCREDIBLES 2 is rated PG and in theaters everywhere NOW! Thanks for sharing these great activity sheets and recipes. We cant wait to see this movie. My family is excited to see this movie. They loves the first incredibles. We are hoping to see it over the fourth of July. Some of my grandkids seen this movie last night (it was my grandson’s birthday). The said that they really liked it! I want to see this too, but it’s been so extremely hot and humid! Also the theaters are packed. My grandson ordered their ticked ahead of time. With the grandkids out on summer break from school, those coloring and activity sheets are much appreciated!! MY son LOVES this movie. That is a ton of cool stuff I can show him and make a nice activity out of it! Thanks! My grandsons would love the coloring pages!! Thanks for sharing! This was such a great movie! Thank you for the coloring pages. I’m sure the kids will enjoy them.